Yesterday featured a Founders Day celebration in Old Town Albuquerque, commemorating Albuquerque’s 306th anniversary along with the 100th anniversary of New Mexican statehood. 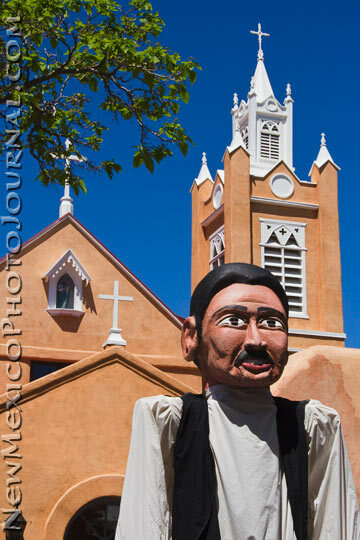 There were a number of larger-than-life-size “puppets” hanging around Old Town, representing Albuquerque’s wide diversity of peoples. I didn’t catch the full name of the puppet-maker but believe his/her last name is Zamora. All text and photos © by Lisa Tannnenbaum. All text and photos © by Lisa Tannenbaum. All rights reserved.